The balance of power in the galaxy is uncertain. Which side do you take in this epic battle? Choose to be a bounty hunter, an evil overlord, or an assortment of fighting mechanoids. Change your voice to sound like any of eight new Science Fiction characters. 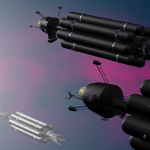 Enhance your role-playing with some of these out-of-this-world voices. 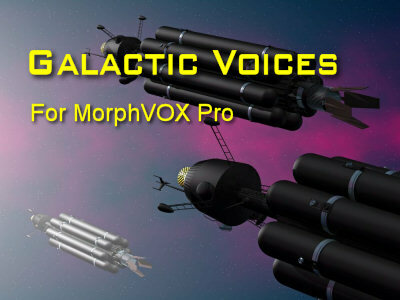 This FREE add-on works with MorphVOX Pro Voice Changer. Note: Requires MorphVOX Pro voice changing software version 3.4.5 or above.